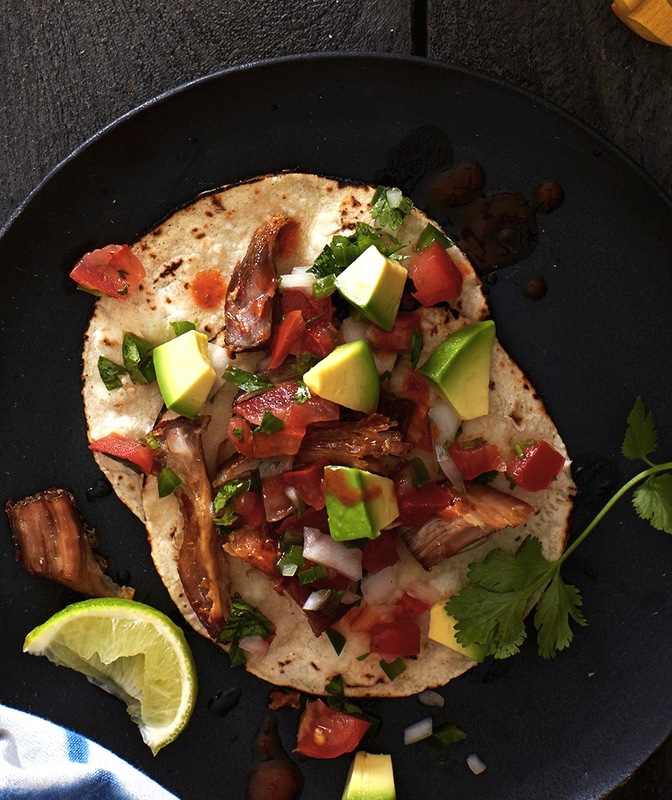 Rich, juicy, and bursting with flavor, this shredded pork makes mouths water whether served as tacos, with tortillas, Pico de Gallo, avocado, lime, and cilantro, or devoured straight from the baking sheet. Leftovers are best refrigerated with their cooking juices in an airtight container and reheated in tightly wrapped foil. Preheat the oven to 275ºF. In an 8-inch square baking dish, mix together the oil, orange zest, garlic, oregano, red pepper flakes, and 2 teaspoons salt. Add the pork and massage all over with the rub. Cover the dish tightly with aluminum foil and roast for 3 hours, flipping the pieces after 11/2 hours. Remove from the oven and let rest until cool enough to handle. Preheat the broiler when ready to serve. Line a rimmed baking sheet with aluminum foil. Transfer the pork to a plate. Skim and reserve 3 tablespoons of fat from the baking dish. Shred each chunk of pork into a few thick pieces, spread the meat on the prepared baking sheet, drizzle with the reserved fat, and broil until the edges are crisped and lightly browned, 4 to 5 minutes. Season with salt and serve.